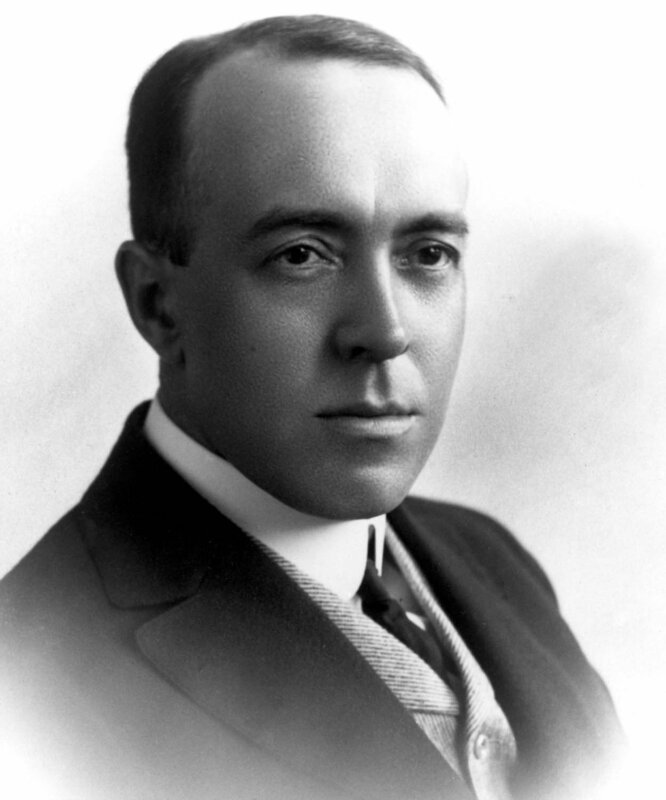 Edgar Rice Burroughs was born on this day in Chicago, Illinois in 1875. Today is the 137th anniversary of his birth. When a flu epidemic swept through Chicago his parents sent a teenaged Edgar to his brothers’ cattle ranch in Idaho. He love the rough and tumble “wild west” with its range wars and saloon shoot outs and he lived there for six months before his parents realized the danger of frontier life was on par with the danger of getting influenza. They called him home and enrolled him in Phillips Academy in Andover, Massachusetts. He didn’t last long there and was soon transferred to the more structured Michigan Military Academy. He failed the West Point entrance exam and signed up for the Army as a private where he served with the 7th US Cavalry at Fort Grant, Arizona Territory. He was discharged from the Army for a heart condition in 1897. In 1899 he was back in Chicago working for his father ‘s company, and the next year he married his childhood sweetheart, Emma Hulbert. After a few years he and Emma travelled west to Idaho so he could try his luck with his brothers again, this time at gold mining. But that venture soon went bust and Burroughs went through a number of jobs from railway policeman to peddler for quack medicine. One of his jobs was as a pencil sharpener wholesaler. He placed ads for the pencil sharpeners in pulp fiction magazines and he would read through the magazines to check the placement of the ads. In fact he had already written stories, but his introduction into the pulp fiction market with Under the Moons of Mars, for which he received a whopping $400 from All-Story magazine, was a turning point in his career. The story was serialized in the magazine and produced as a novel under its original name of A Princess of Mars. By the time the last installment was published in July of 1912 Burroughs had completed two more novels. The Outlaw of Torn and Tarzan of the Apes. Outlaw was not picked up by the publisher, but Tarzan was an immediate hit. Burroughs got $700 for the book. He wrote a number of sequels for both Mars (11, including John Carter of Mars) and Tarzan (26). 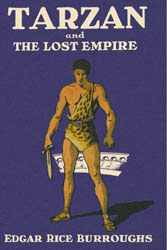 The Pellucidar series, which takes place in the hollow shell of the Earth (7 books, including one featuring a cross over appearance from Tarzan). He crossed writing genres at will penning social realism, horror stories, and westerns (and more). Burroughs was living in Honolulu, Hawaii when the Japanese bombed Pearl Harbor on December 7, 1941. He volunteered to serve the war effort as a war correspondent (the oldest in the Pacific theatre). 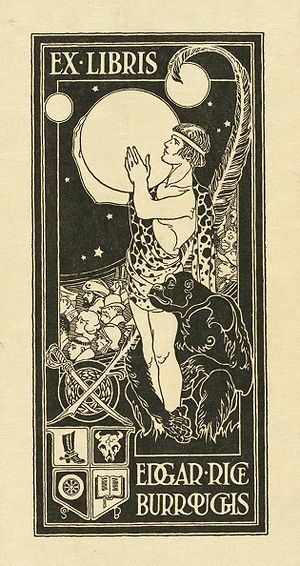 He died on March 19, 1950. This entry was posted on Saturday, September 1st, 2012 at 2:35 am	and tagged with books, Edgar Rice Burrough and posted in Earth Day, Edgar Rice Burroughs, Edmund Hillary, Fiction, Film, Paul McCartney, postaday, Stephen Fry, Theatre, Thought of the Day, Today's Birthday, William Saroyan, Winterthur, World War Two, Writing, Yeats. You can follow any responses to this entry through the RSS 2.0 feed.